Pickleball is a paddle sport that combines elements of badminton, tennis, and table tennis. It is played with a wiffle ball and paddles on a court with the same dimensions and layout as a badminton court. 55+ players of all skill levels are welcome. Nets and balls are provided. Loaner paddles are available. Indoor athletic shoes are required (court shoes are recommended). 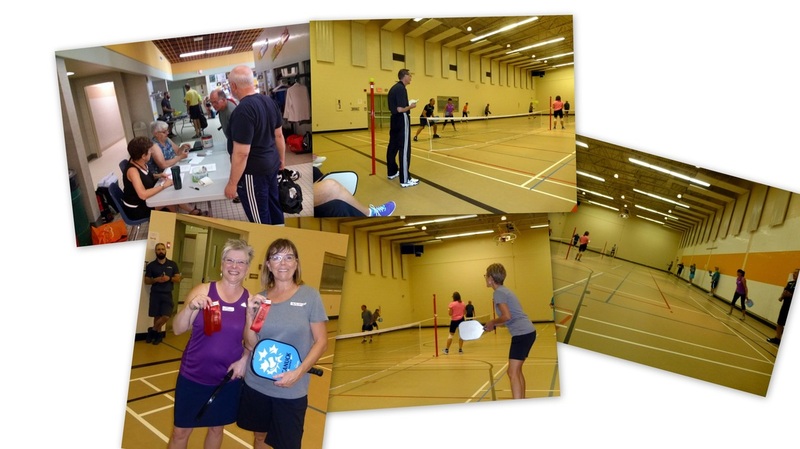 Pickleball is played at the South Leisure Centre from September to May, 3 days a week. Residents of the South Zone will be given first chance to register for the limited number of spaces. Identification (e.g. Driver’s Licence) will be required at time of registration to verify your place of residence. The South Zone includes addresses found within the Albert Park, Harbour Landing, Hillsdale, Whitmore Park and Lakeview community associations. Registration takes place in the early fall. Sign up to our Mail Chimp Service so you won’t miss out on receiving this important information.